Frittatas are a perfect dish to make when you’re in a hurry. 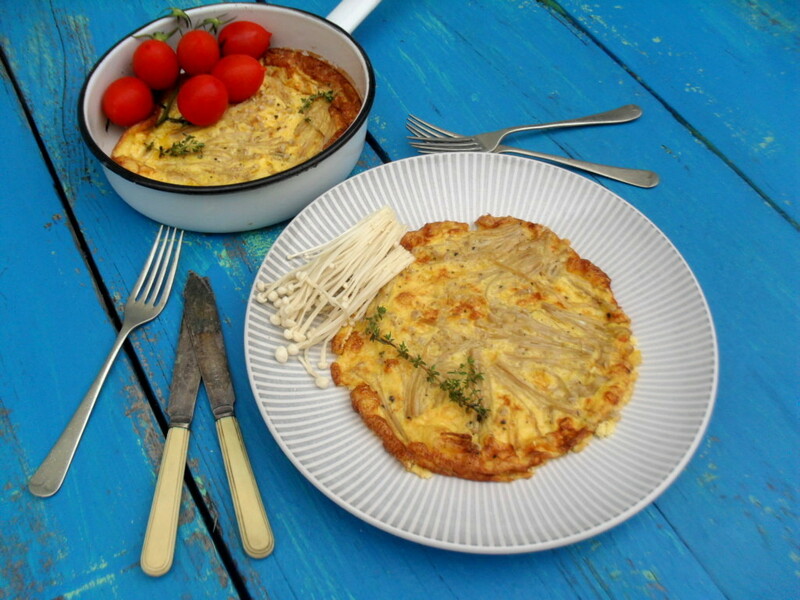 It’s an open omelette and is normally made in one large pan and cut into slices to be eaten. 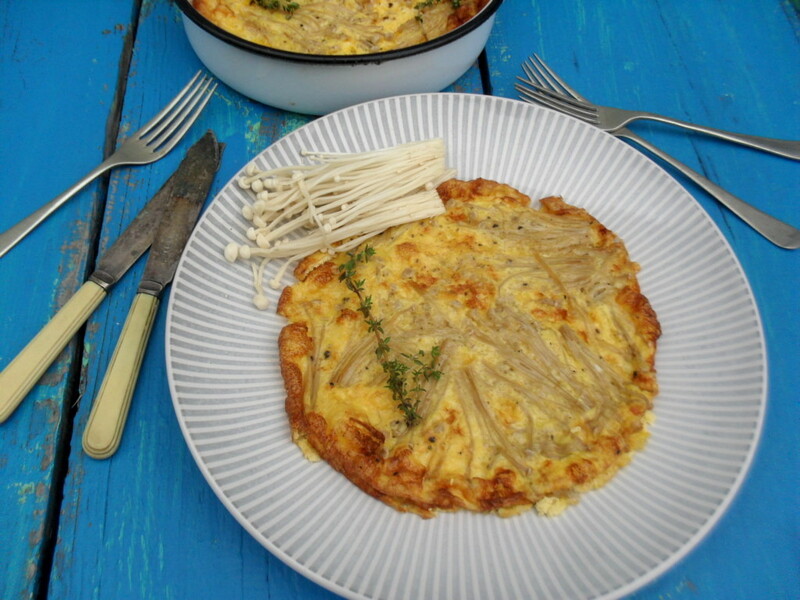 With this brown butter enoki mushroom frittata, I decided to make four small single serving frittatas, just for fun. 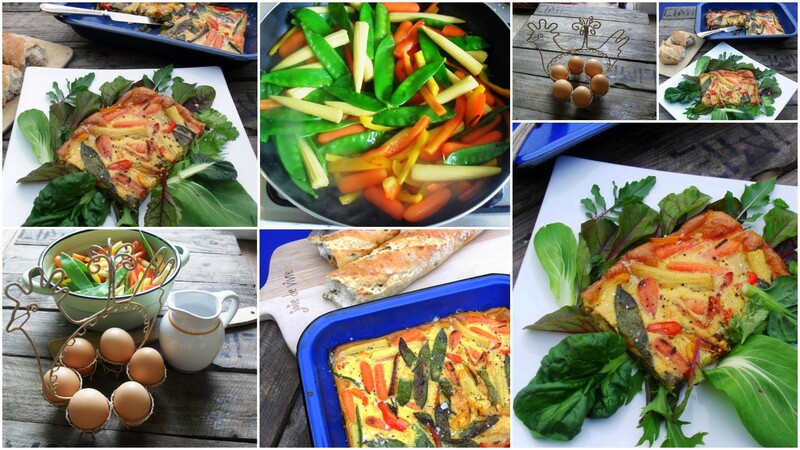 You can make one large frittata, if you prefer. Remember to increase the cooking time with a couple of minutes if you make one large frittata. Enoki mushrooms are also called golden mushrooms or snow puff mushrooms. 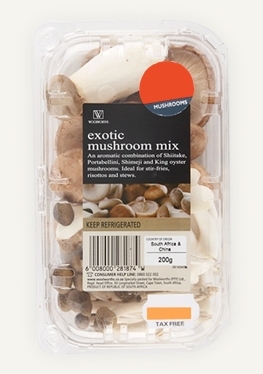 These mushrooms are mild in taste and are mostly served raw in salads. 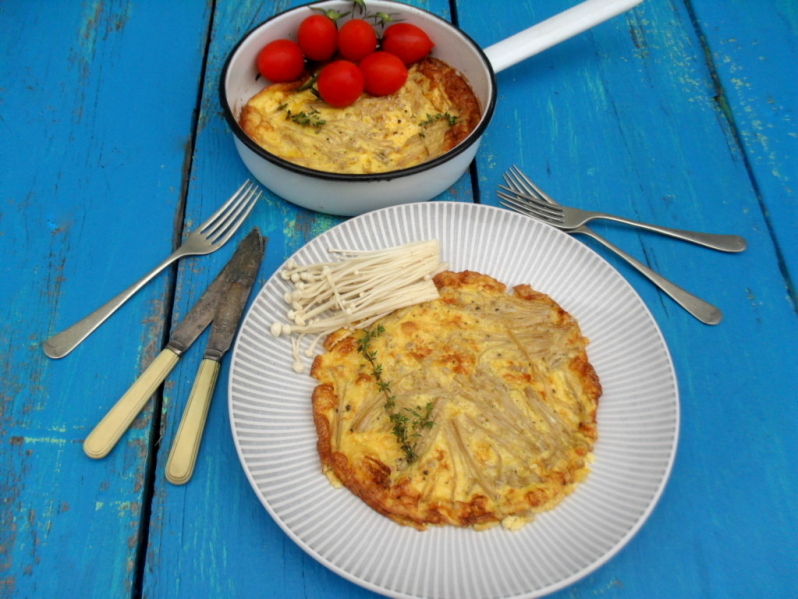 I cooked the mushroom frittata in brown butter and it gave the dish a wonderful nutty taste. Brown butter is also called beurre noisette in French. When translated it means hazelnut butter. Brown butter is normal butter that has been heated until it turns brown in colour. I enjoy making brown butter; it not only provides great taste to any dish, but the smell it gives whilst being done is one of my favourite smells! Serve the frittatas with a side salad of your choice for supper or lunch. It can also be eaten at breakfast. Cut the butter into equal sized cubes and place into a saucepan. Heat on medium heat until the butter is melted, stirring continuously. Remove from the heat and pour into four small pans or one large pan. Place the enoki mushrooms and the lemon rind into the brown butter. Beat the eggs and cream together and season lightly. Pour over the mushrooms and bake in the pre-heated oven for approximately 8 minutes or until the eggs are set. Jaaa, ek het nie eers besef dat dit banting vriendelik is nie! The best part of this is that I think even I could do it. Pity it is so late at night. I’d like to start right now. 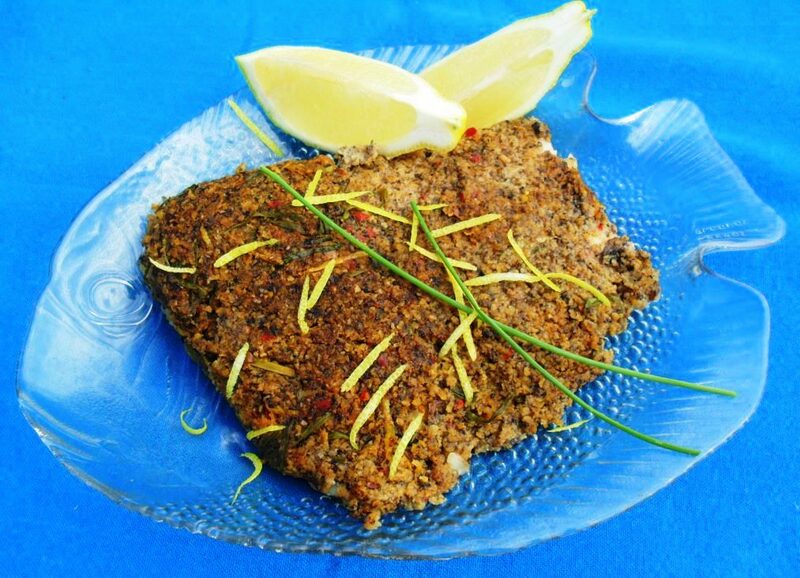 I am sure you will be able to make most of the recipes on my blog, Col!